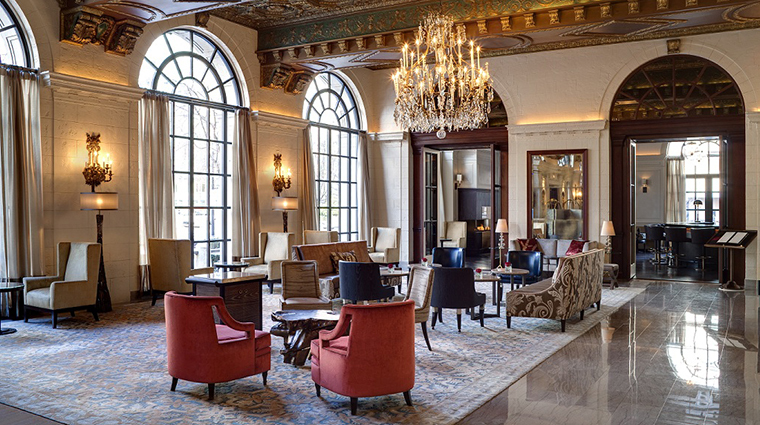 A historic hotel in the heart of the nation’s capital, The St. Regis Washington, D.C. has hosted most of the U.S. presidents as well as an assortment of royalty and prime ministers. In fact, President Coolidge cut the grand-opening ceremony ribbon at the hotel in 1926. Today, Old World architecture (think original Palladian windows and Italian Renaissance chandeliers) meets modern comforts (Bose sound systems) and a convenient location near many of the city’s top law offices, lobbying firms and of course, the White House. There’s hardly a better power spot in Washington than the corner of 16th and K streets, Northwest. And aside from its proximity to the president, the hotel puts you minutes from Metro transportation, fine dining, nightlife, culture and more. 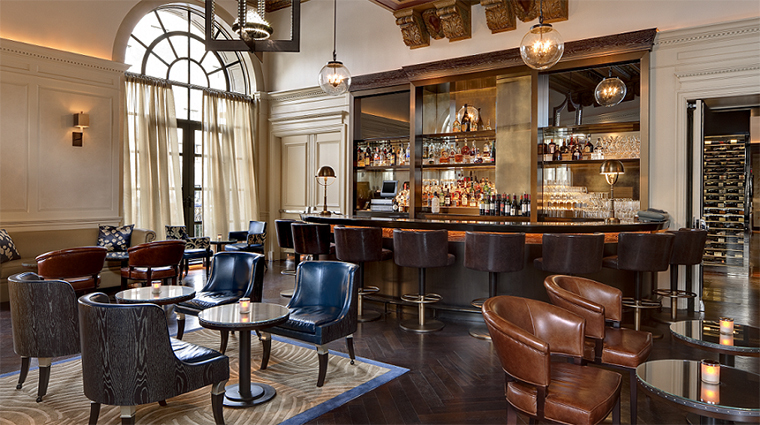 You’ll see The St. Regis Washington, D.C.’s historic heritage throughout the hotel. 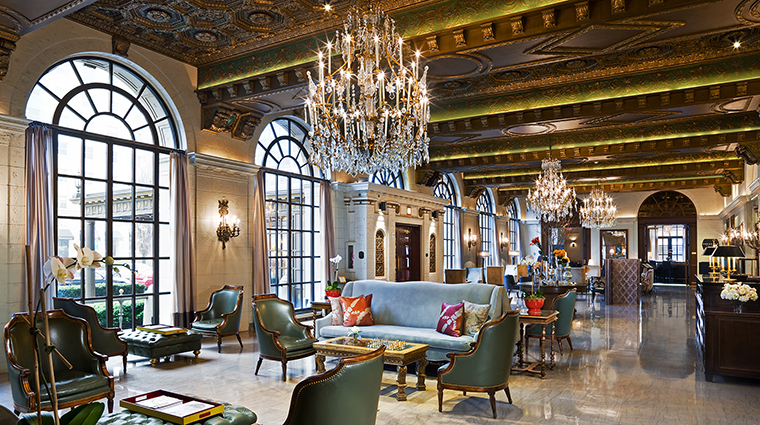 The lobby retains much of its Gilded Age glamour, with Palladian windows, an ornately gilded coffered ceiling and lush velvet armchairs. 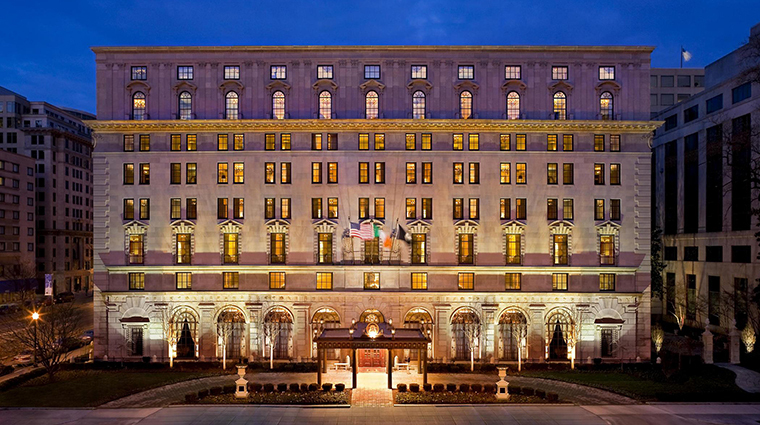 Just two blocks north of the White House, The St. Regis Washington, D.C. is one of the few hotels in the world that can claim to have hosted every American president since Coolidge. Enjoy a daily 6 p.m. champagne sabering ceremony and toast, where the hotel’s sommelier or bartender opens a bottle of bubbly using a sword and grand flourish. 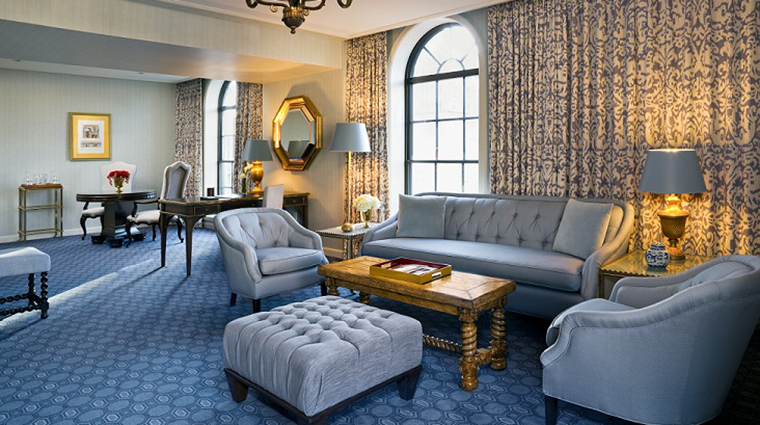 Book a suite and you’ll feel even more VIP — you’ll get access to the Suites St. Regis Butler Service, which includes daily tea or coffee delivery, unpacking and packing services, and 24/7 access to your butler via email. The Capitol Mary, a take on the Bloody Mary exclusive to The St. Regis Washington, D.C., is inspired by the commercial and cultural heritage of the nearby Chesapeake Bay. It’s made with gin, clam juice and Old Bay seasoning. Bathrooms at the Four-Star D.C. hotel are on the small side — but do have a handy in-mirror television. 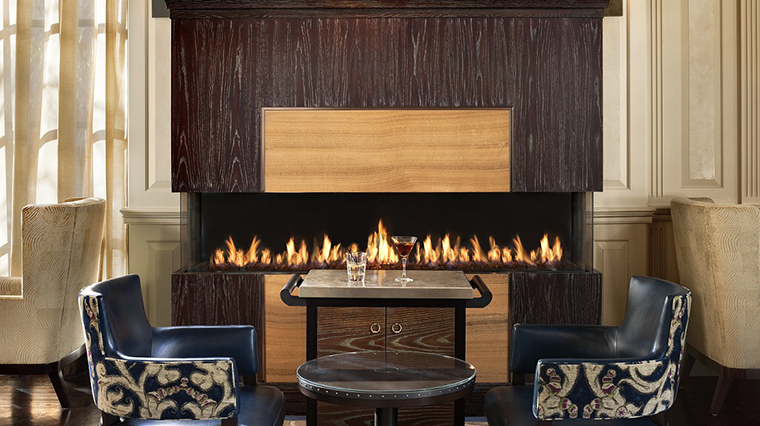 The St. Regis Washington D.C. offers pet-friendly luxurious to make your four-legged friend feel at home, like dining mats, bowls, assorted treats and doggie toiletries. 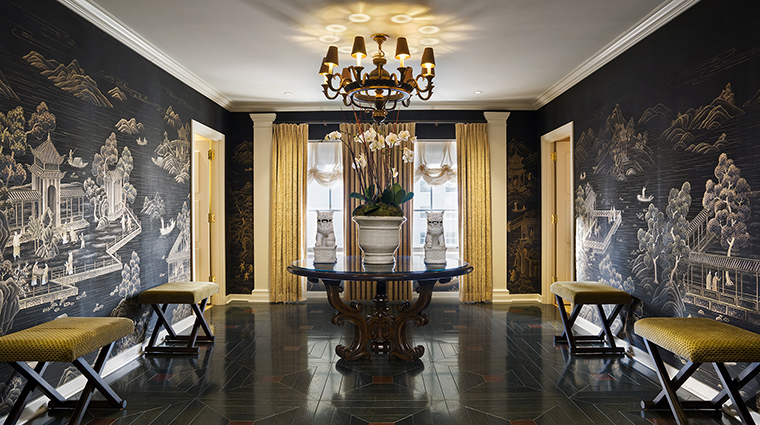 A signature service of St. Regis properties worldwide, the butler service is not to be missed. 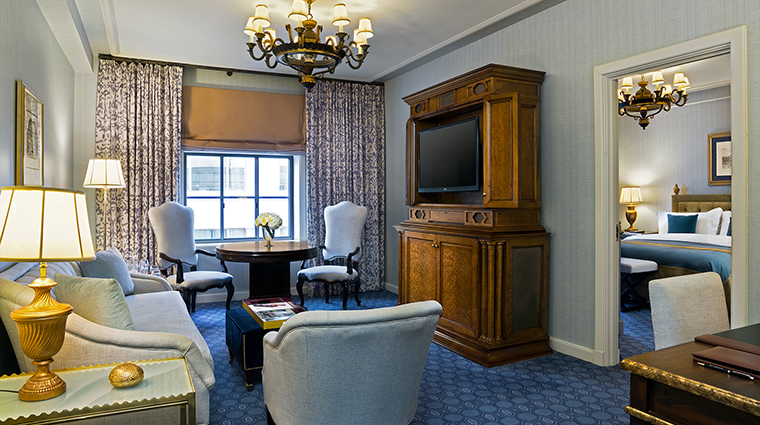 If you’re staying in a suite, call ahead to have your butler arrange hot tea or coffee to be ready when you arrive. 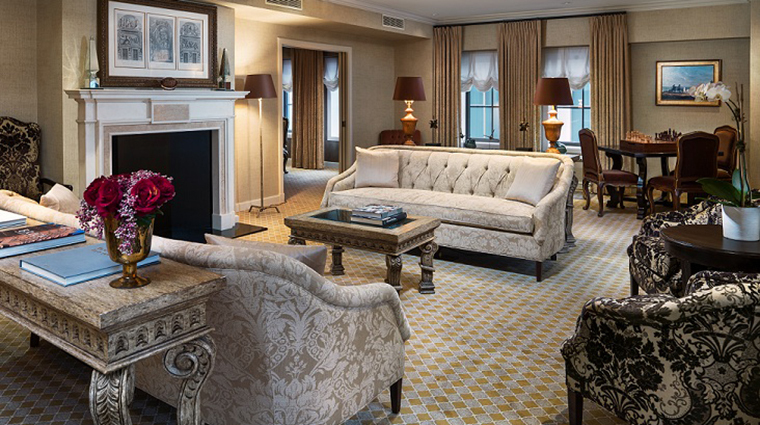 The rooms at The St. Regis Washington, D.C. are fairly small compared to their other luxury counterparts; probably because of the massive built-in feature that functions as a wardrobe, mini-bar and television cabinet. 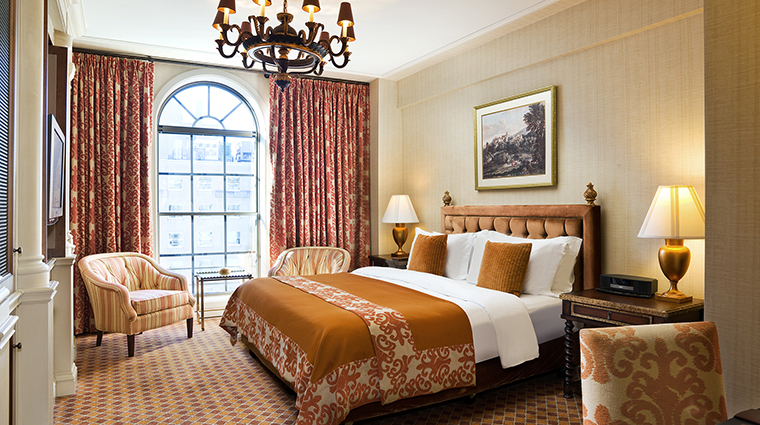 Rooms are outfitted in a variety of muted color schemes (our room sported a rich yellow hue) and feature Old World touches, including chandelier lights. 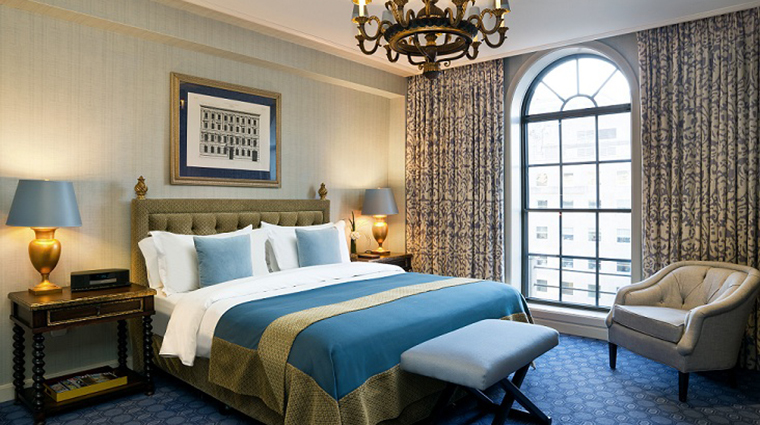 The rooms have plush pillow-top Sealy beds, Pratesi cotton linens, a work desk and a small chair. Most standard guestrooms lack a bathtub (only eight have a tub/shower combination), but offer attractive tiled walk-in showers with excellent water pressure and Laboratoire Remède amenities, in addition to comfortable cotton spa robes. Designed by renowned architect David Rockwell, Alhambra highlights many of the room’s original features including the landmarked ceiling, but is furnished with modern décor for a sharp contrast. 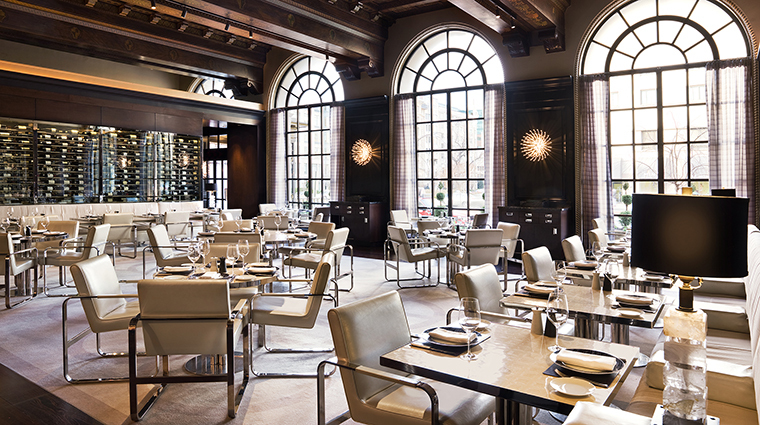 Alhambra features a European and Mediterranean menu from executive chef Javier Cuesta for breakfast, lunch and dinner. 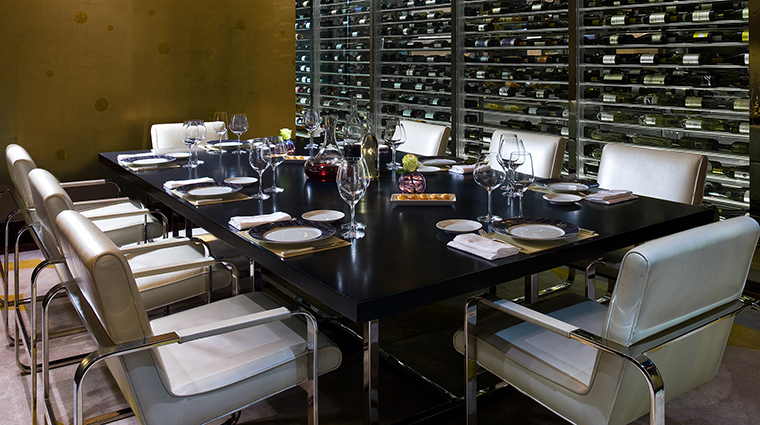 Expect fare like tuna tiradito with candy striped beets, boneless oxtail with sautéed foie gras and a porcini and oyster mushroom medley with saffron cream. 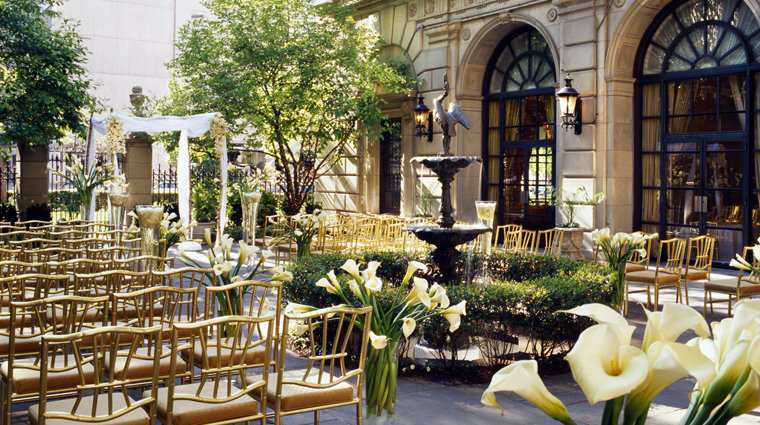 The restaurant also hosts the lauded St. Regis Afternoon Tea. Enjoy a wide variety of brews alongside sweet and savory bites (think curry egg salad tart and ginger almond cake) along with an optional champagne pairing.